EMFTHA e.V. – European Missouri Fox Trotting Horse Association e.V. European Missouri Fox Trotting Horse Association e.V. Welcome to the wonderful world of the Missouri Fox Trotter! 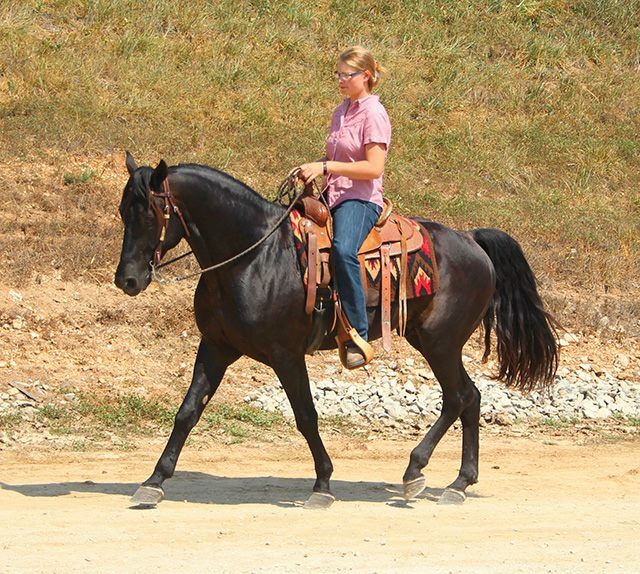 Sure-footedness, comfortable gaits and even temper are the hallmarks of the Missouri Fox Trotting Horse, which enjoys growing popularity in the US, Canada, Europe, the middle east and beyond. These horses are well known for how enjoyable and smooth they are to ride because of their natural gaits, the Flat Foot Walk, Fox Trot and Canter. 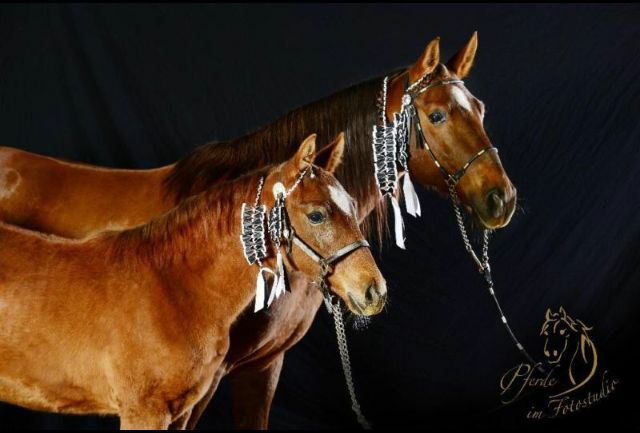 This breed has its origins in the Ozarks of the United States and can be traced back to the horses of the first settlers in this and surrounding areas. They used the horses for agricultural work and in everyday life. The resilient and intelligent horses also made it easier for the farmers to drive cattle through rugged, impassable areas. At the same time – the adaptable Missouri Fox Trotter is a favoured riding and coach horse for large land owners, judges, rangers, doctors, outlaws e.g. Even the forestry service likes to work with these exceptional horses. The growing popularity of this horse breed accommodates a rising population who are especially interested in trail horses for leisure time activities. Due to the rhythmic motion sequence the Missouri Fox Trotting Horses‘ gaits they are recommended for therapy riding and also present an impressive appearance in the show arena. This is why the parent association, MFTHBA, came up with the motto: „To ride one is to own one“. In accordance with this Motto, it is the EMFTHA’s task to protect and disseminate information regarding this horse breed and its original objectives. Additionally we are tasked with the assistance and support of interested people in the acquisition, breeding and training of this unique horse breed. The European Missouri Fox Trotting Horse Association was originally founded as the German Missouri Fox Trotting Horse Association in 1992. As a result of increasing distribution of the horse breed in Europe, the Association was expanded and renamed as EMFTHA e.V. Since the end of 2016, the EMFTHA e.V. is a governmental approved breeder’s Association for the breed Missouri Fox Trotting horse and manages the original studbook of the breed. In the principles of the studbook, the EMFTHA e.V. is obligated, to continue the development and conserve the given breed standards of the MFTHBA and to develop. Every affiliate association in Europe must comply with the EMFTHA e.V. and its stated principles. Thereby, it is assured that the breed standards of the Missouri Fox Trotting Horses in Europe is equal to the ones in the original country, USA, and will be continued. The EMFTHA e.V. generates the horse’s passports and issues the breeding certificates. The EMFTHA e.V. is a state-approved breeder association. EMFTHA e.V. keeps the original studbook of the breed Missouri Fox Trotter (MFT) under consideration of the rules of the “Missouri Fox Trotting Horse Breeding Association” (MFTHBA) in Ava, Missouri, USA.